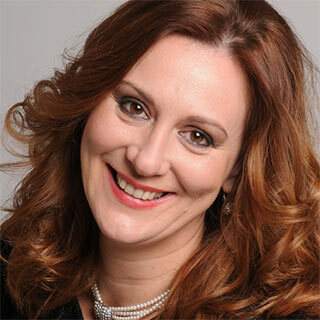 Soprano – Since 2007 she teaches singing at “The city Music school of Poggibonsi”, Italy. She collaborates with various lyric associations in Florence, “Chianti lirica”, “Concerto Classico” and “O.M.E.G.A. Musica” with whom she has performed numerous recitals. Recently she has given concerts with Florence’s Baroque Chamber Trio “Euridice”. Simonida Miletic was born in Belgrad, Serbia where she studied singing at the High school for music “Stankovic” in Belgrade. She graduated with the maximum votes in Prof. Olivera Grujic’s class. She then continued her studies at the Conservatory “Luigi Cherubini” in Florence, where she graduated with Prof. Kate Lafferty in 1996. In 2007 she achieved her master degree in Vocal Chamber Music under Leonardo De Lisi. She attended the following Master Classes: the summer academy “Mozarteum” in Salzburg with Galina Visnevskaya. She studied in Florence with Margherita Rinaldi, at the “City Music school of Milan” and Baroque singing with Claudine Ansermet. She took part in courses organized by “Amici della Musica di Firenze”, with Julia Hamari and Irwin Gage. In December 2006 she followed a course in Baroque singing with Marco Balderi and in interpretation of the opera “Rigoletto” with the Giorgio Proietti. Since her debut at the Summer Festival of St. Gimignano (1996) in the “Telephone” of Menotti and “Susan’s Secret” of Wolf Ferrari, she continued her artistic activities in various festivals: “Summer Regina of Montecatini”, “Belef” and “Bemus” of Belgrade, Festival of Chamber Music “Nemus Dianae” in Rome, The Summer Festival “Fiesolana” in Florence, Festival of the ancient Music “Perast” in Montenegro and “Dramsam” festival of ancient music in Gorizia. She has collaborated with Florence Opera House “Teatro Comunale”‘, Belgrade Opera House, “Teatro Dante” in Florence, “Teatro Nicolini” in San Casciano, and “Teatro dei Leggieri ” in St. Gimignano, Italy. She has performed with many orchestras: “Florence Symphonietta”, Florence Opera House’s Youth Orchestra, “Orchestra Nuova Europa” Florence, The orchestra “Musingen” of Bern, Savona’s Symphonic orchestra, Pisa’s Chamber Orchestra, and Belgrade’s television and radio Symphonic orchestra. Her repertoire includes: “Serva Padrona” – Serpina; “L’Elisir d’amore” – Adina; “Le Nozze di Figaro” – Susanna, Cherubino; “Rigoletto” – Gilda; “La Traviata” – Violetta; “Bohème” – Mimì; “Das Fledermaus” – Rosalinde; “The telephone” Menotti – Lucy; “Susan’s secret” – Susanna by E. W. Ferrari.